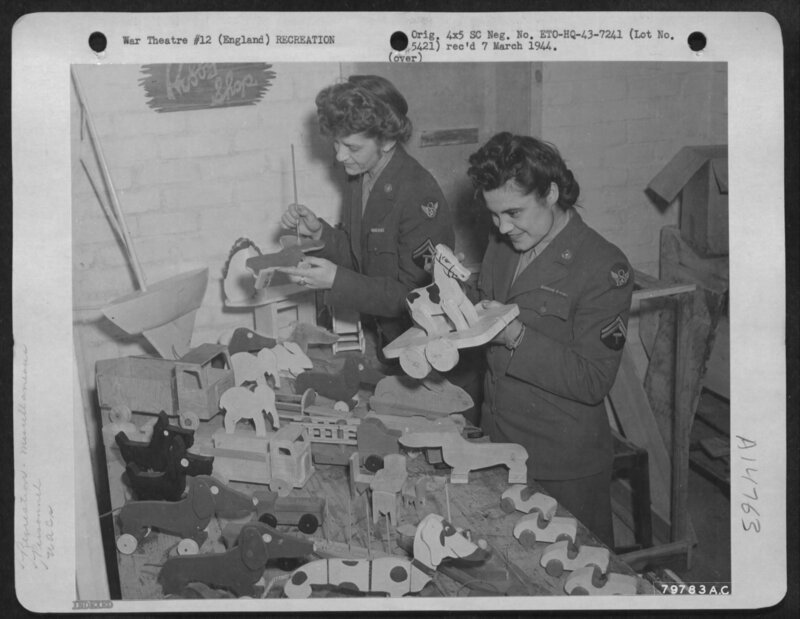 When you see a girl in khaki or air-force blue with a bit of ribbon on her tunic – remember she didn’t get it for knitting more socks than anyone else in Ipswich. 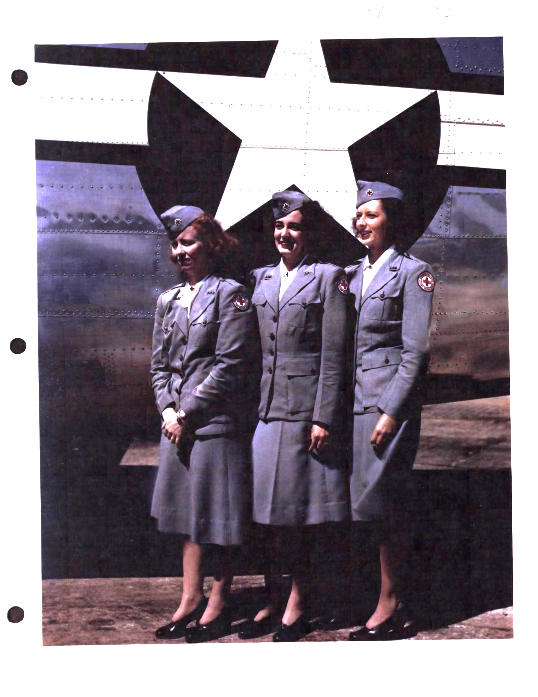 At any given point between July 1943 and May 1945 there were several hundred American women serving with the 8th USAAF in East Anglia. Many of these women were a part of the new Women’s Army Corps, which was formed at the beginning of the war following the example set by the RAF’s Women’s Auxiliary Air Force (WAAF). 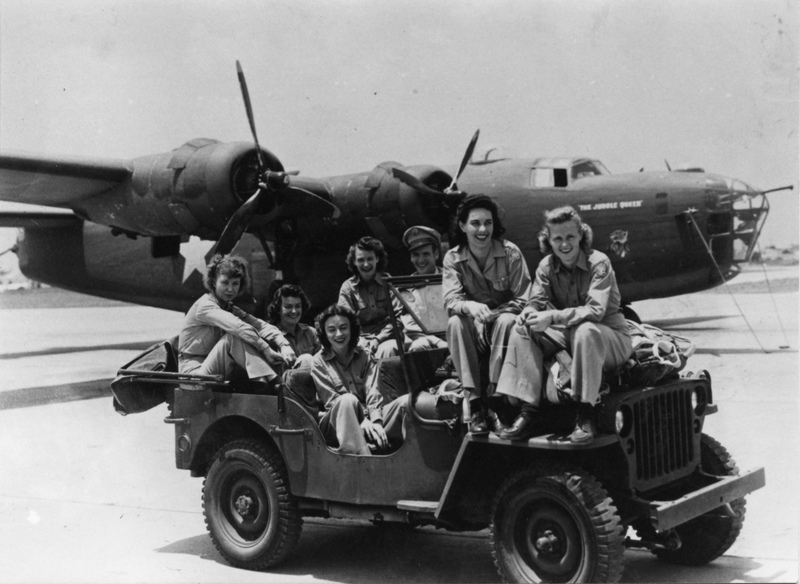 These women, known as WACs, were the first women in the US military to serve in a position other than nursing. They helped the war effort by operating telephone exchanges, teletypes, conducting weather observation and even mechanics which freed up men to fight on the front. Others volunteered with the Red Cross and took care of the men both on and off the bases. 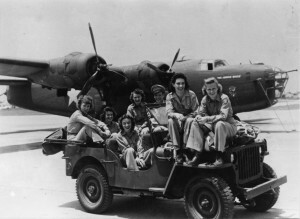 British women did their part too. 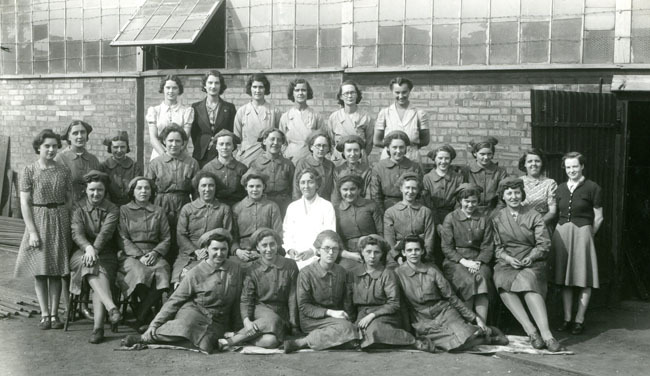 Many women from the potteries of the midlands, the streets of London and the rural villages of East Anglia served in the Women’s Land Army. They farmed the same countryside that was now home to thousands of American bombers and fighters. 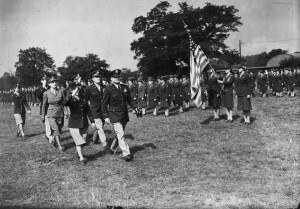 The Land Army worked right up to the perimeter track and hard stands of the airfields and were able to keep Britain fed while the men were fighting on the continent. 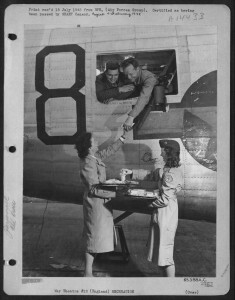 This influx of young women was also unsurprisingly a great boost to the morale of the American servicemen. Some of the local wives and mothers of East Anglia found a more entrepreneurial way to support the war effort. Make-shift laundries quickly sprout up around the US airfields. Women would send their children to the bases on bicycle or with hand carts to collect the large masses of laundry needing to be cleaned for the Yanks, which they would wash, dry and return for a Half Crown. 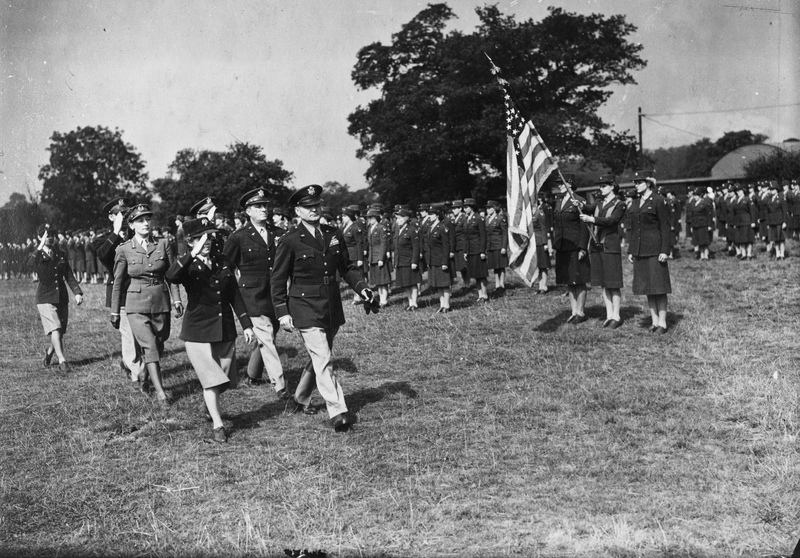 “A British woman officer or non-commissioned officer can – and often does- give orders to a man private. The men obey smartly and know it is no shame. For British women have proven themselves in this way. They have stuck to their posts near burning ammunition dumps, delivered messages afoot after their motorcycles have been blasted from under them. They have pulled aviators from burning planes. 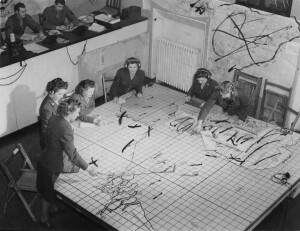 They have died at their gun posts and as they fell another girl has stepped directly into the position and ‘carried on.’ There is not a single record in this war of any British woman in uniformed service quitting her post or failing in her duty under fire.